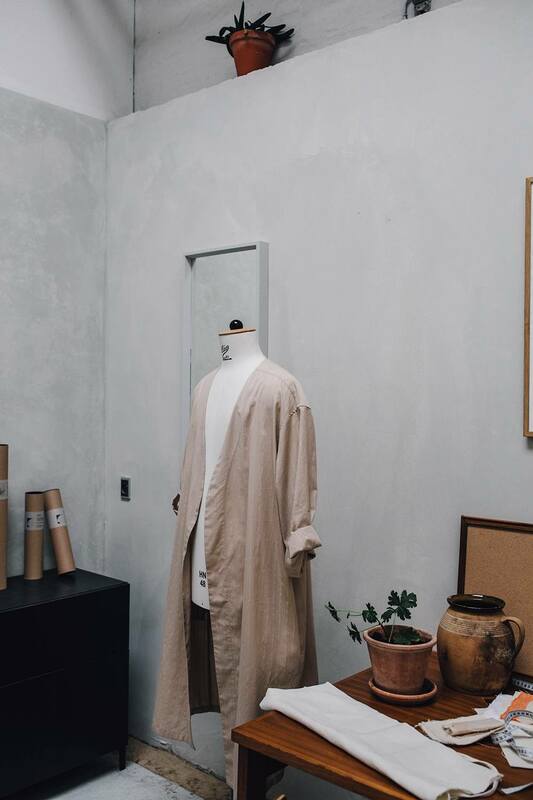 Today we want to introduce you to the talented people behind Aure Studio and take you through a tour of their stunning studio. 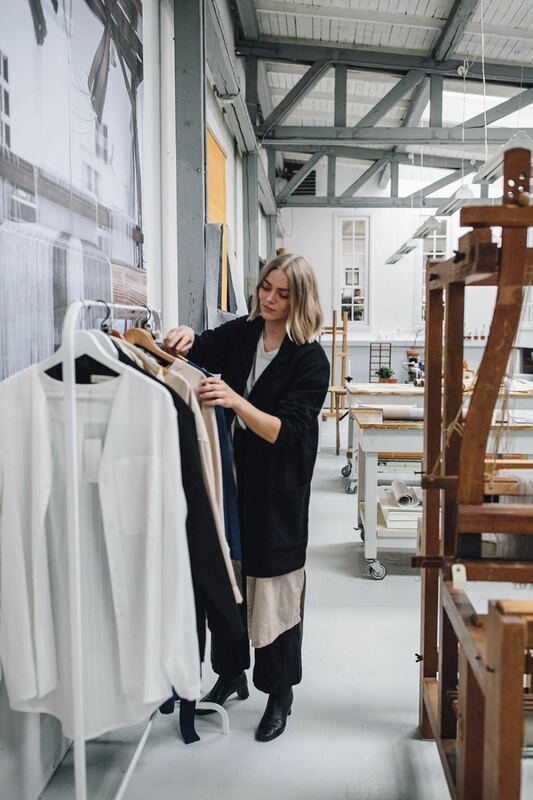 Next to beautiful garments Aure Studio makes the most inspiring posters and you guys even have the chance win one of them! First of all we hope you enjoy the interview and you can find out how to enter the give-away at the end of the post. Hej! 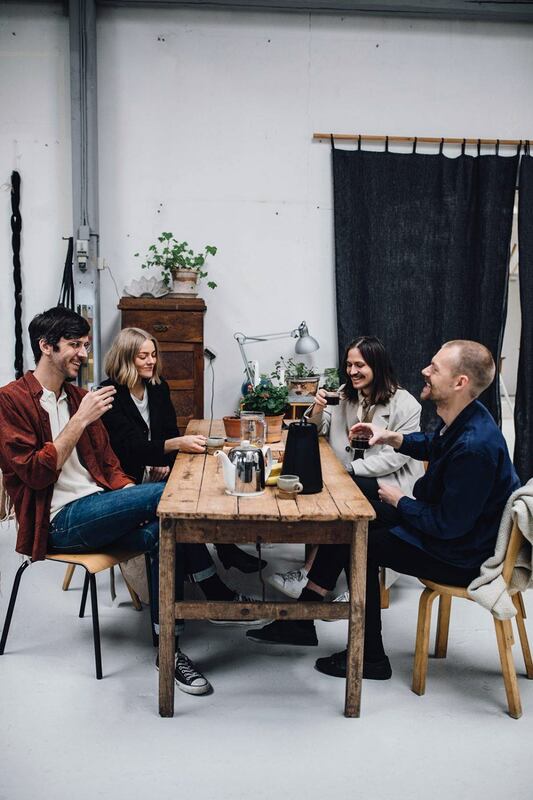 We are Aure Studio, a Copenhagen based design studio made up of four Norwegians – two siblings and one couple. 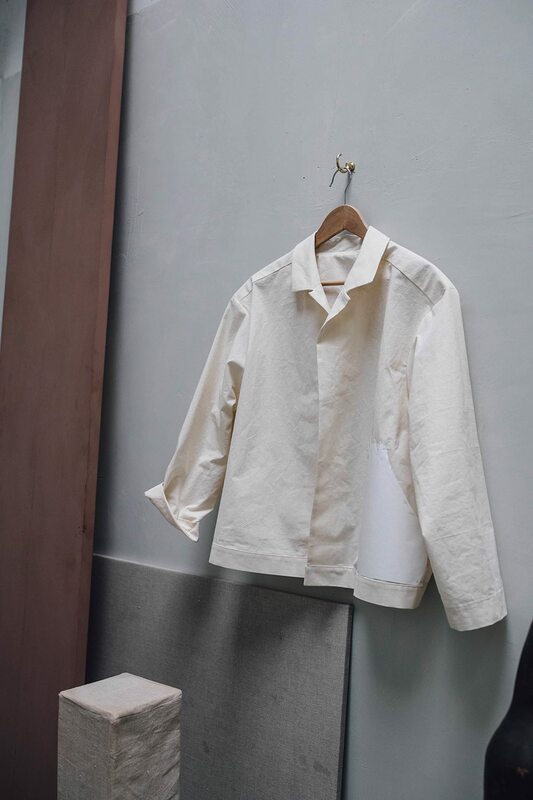 Our team shares a passion for nurturing the timeless aesthetic, by using our various creative skills within design, interior, communication, photography and clothing to create what we believe to be long lasting designs. We are Filip, Johanne, Sjur and Fredrik. How did you met and how did everything started? 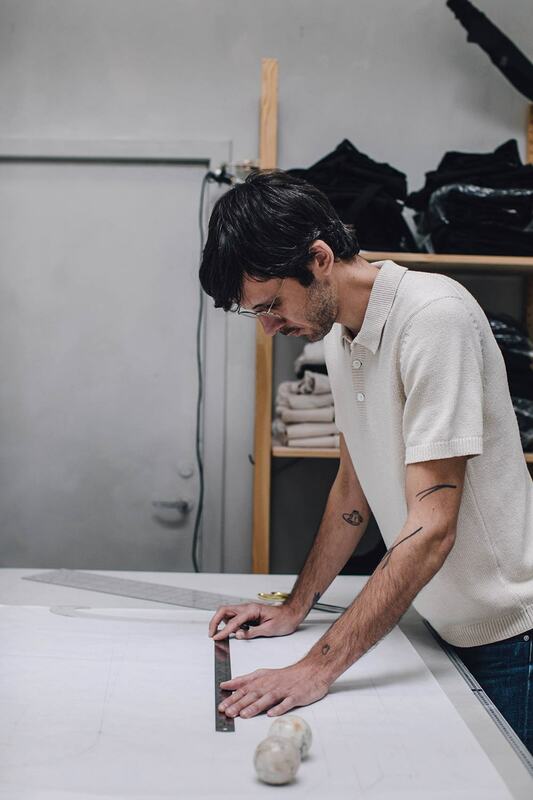 Filip and Johanne are siblings, and has since kids been dreaming of having their own brand. Six years ago the two of them moved to Oslo with Johanne’s boyfriend Fredrik who was studying business and innovation. 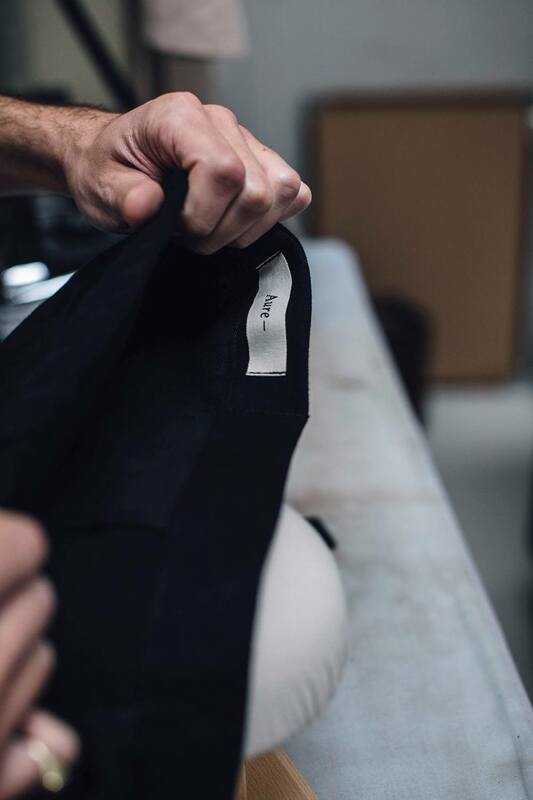 A couple of years later Sjur came into the picture and quickly became the perfect fourth member to our future company, as he was finishing his last year in fashion school. 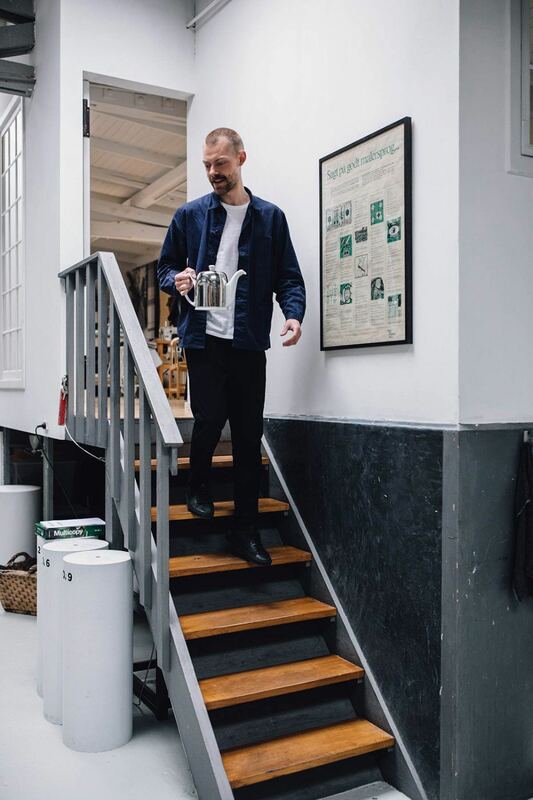 Then all of us moved to Copenhagen, which became the perfect base to start up Aure Studio, surrounded by people willing to help, inspiring buildings and beautiful surroundings. The team collaborate on most things, but we also trust each other enough to make our own choices within the company. We are pretty like-minded, and share the same values when it comes to design and life philosophy. At the same time we have diverse skills, and we all have fertile minds. 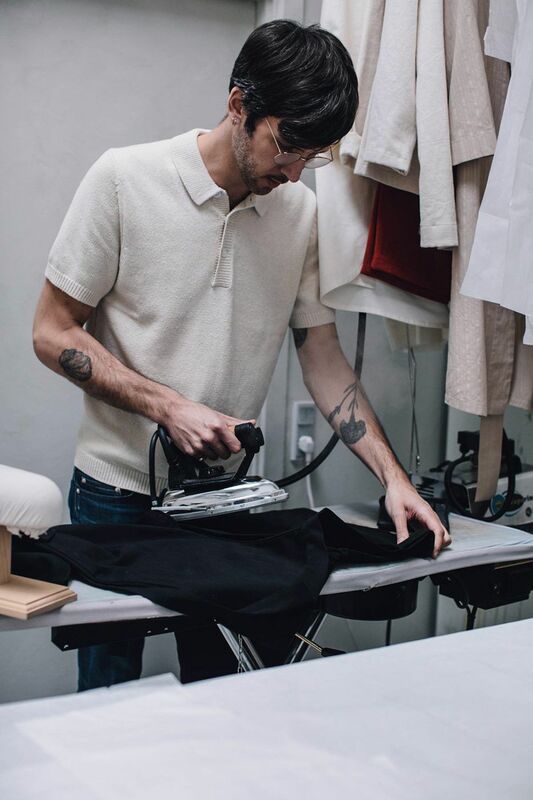 Sjur is mainly responsible for the garments, while Filip, Johanne and Fredrik collaborates on the other parts. 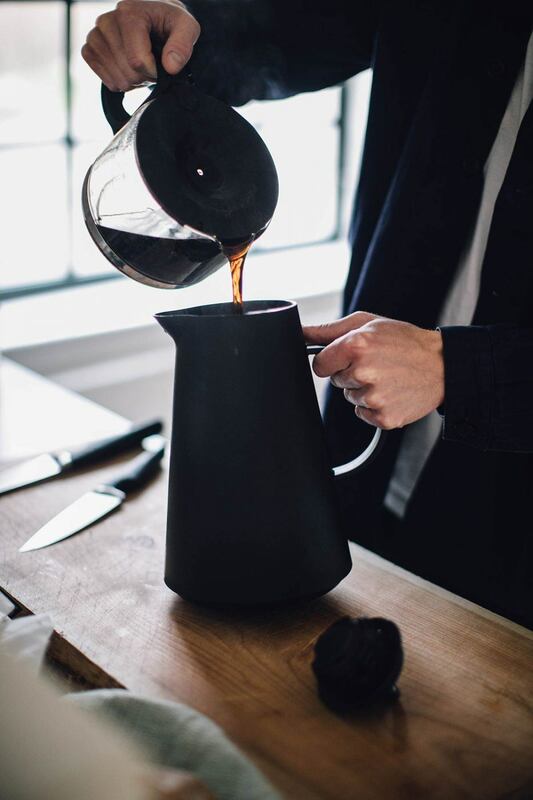 We all have a big passion for photography, objects, styling and communication. Do you have a background in the same job? 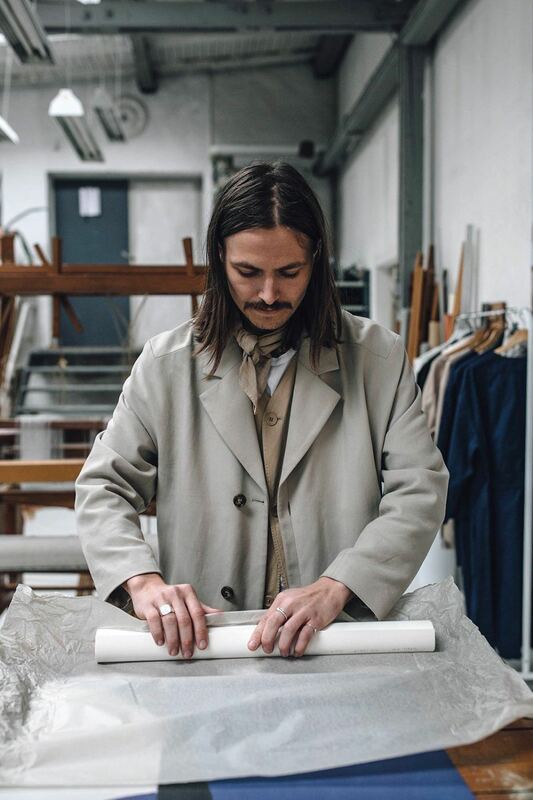 Sjur worked as a clothing designer in Oslo for several years before moving to Copenhagen, and Filip, Johanne and Fredrik has all worked in the interior design field before starting Aure Studio. 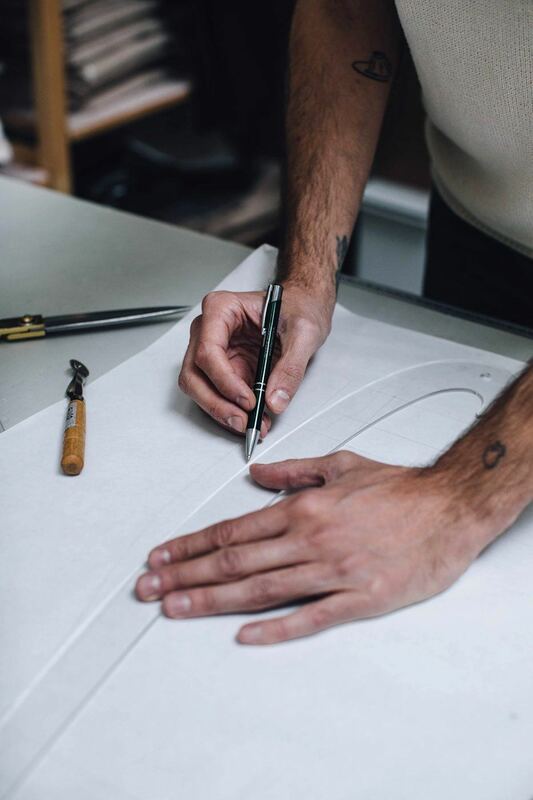 The only ones who have an education (luckily) within the field is Sjur (clothing designer) and Filip (graphic designer), while the other things we practice we’ve learned by passion and interest. Since when have you had the studio and how did you find it? 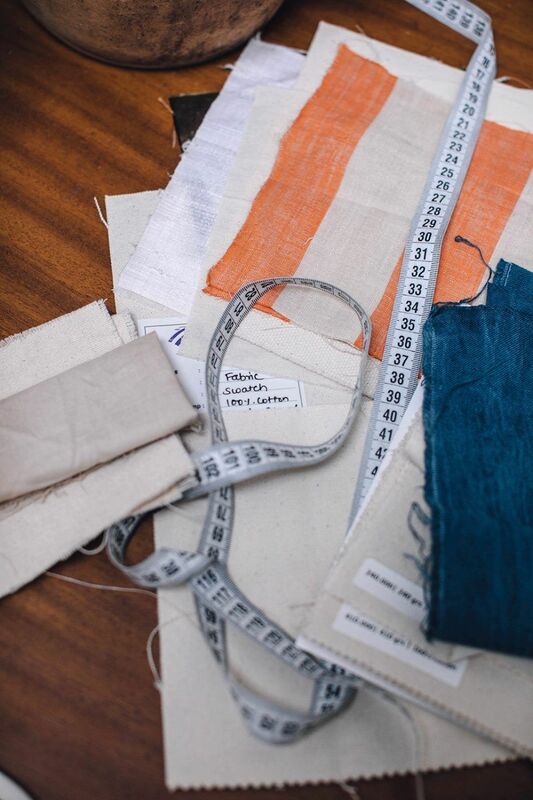 We were lucky to get to know the talented textile designer, Karin Carlander, through a friend of ours. 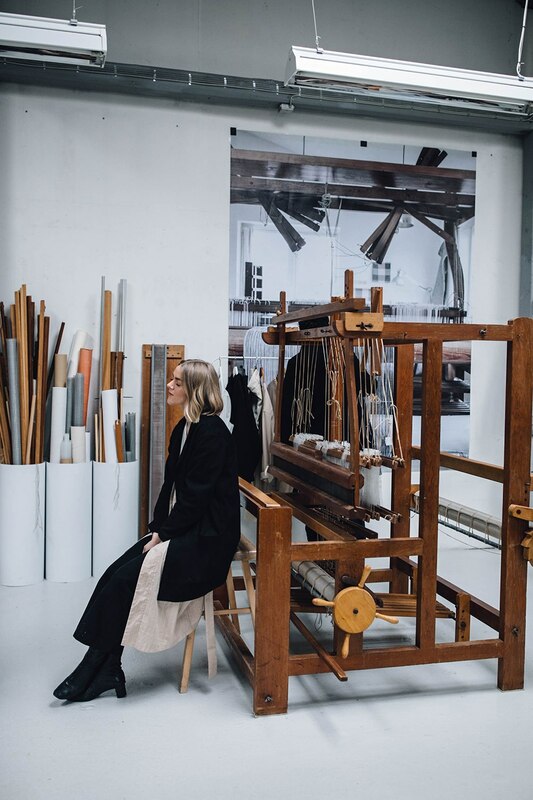 Two years ago she had just moved into this amazing, former knife factory located on the outskirts of Copenhagen, in the preserved village of Raadvad, where shesettled alongside with her company TEXTILE NO. By Karin Carlander. And she had a room to spare. She asked if we’d like it as a studio, and we couldn’t be happier. 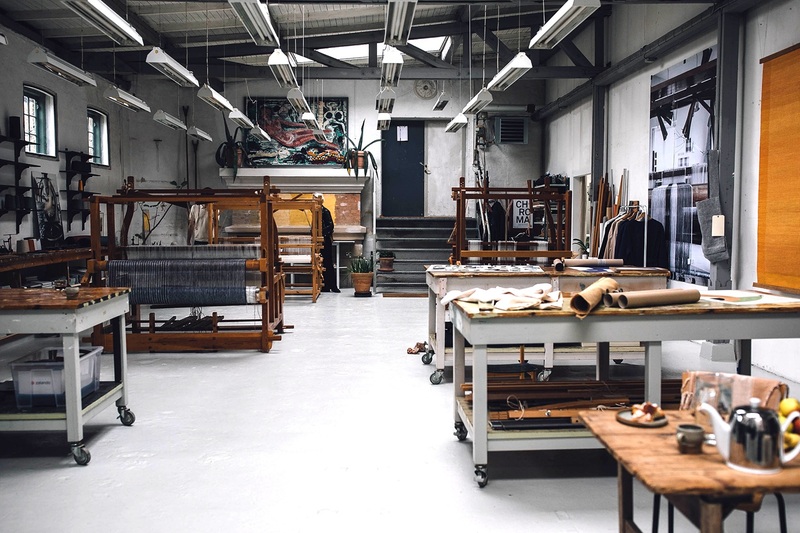 We feel so lucky to be surrounded by her beautiful fabrics and energy, and not least to be located in this area, which is an authentic part of Denmark’s history. One of the country’s first industries was founded here in the mid-17th century. Today, the village looks just like it did more than 200 years ago and is one of the most beautiful places imaginable. 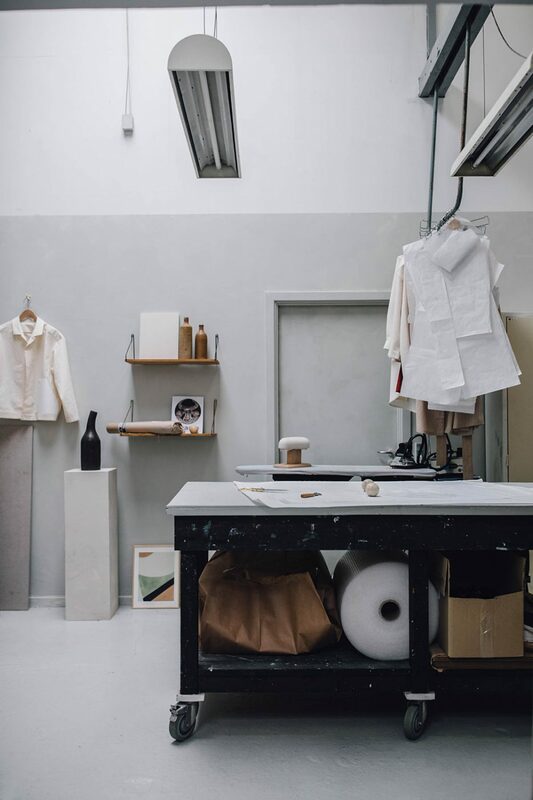 Do you like to have your studio more functional or do you like to add decorative elements? It has to be both. 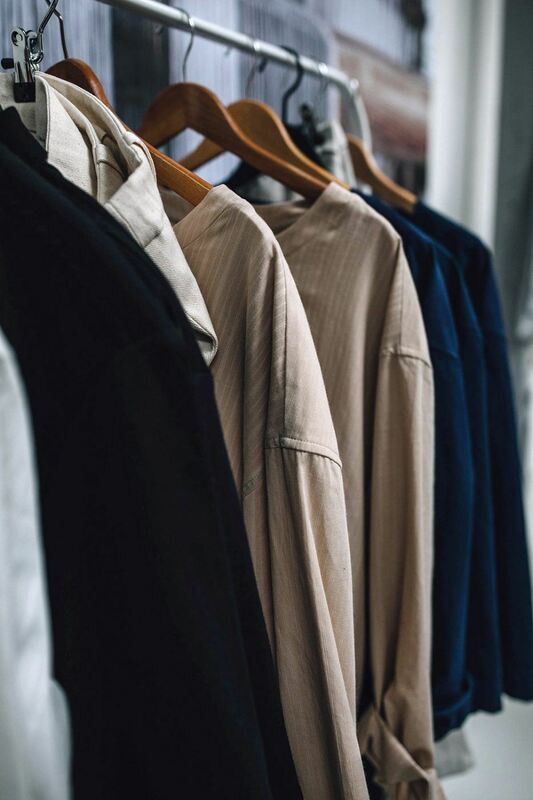 There are certain elements we need to have to be able to function as a fashion and design company, like the sewing machine, rolls of fabric, printer, clothing racks and the iron board. 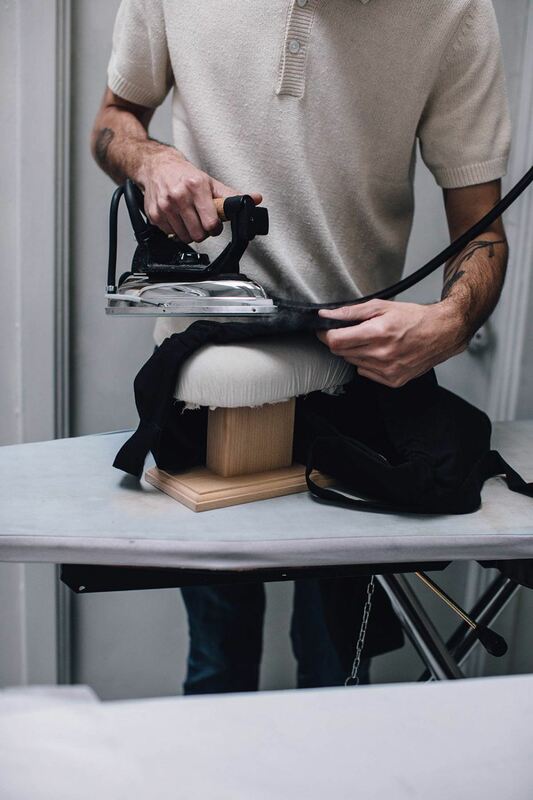 Luckily we’ve been able to find pretty and functional machines and we feel that pretty much all the parts we have in the studio are decorative elements. 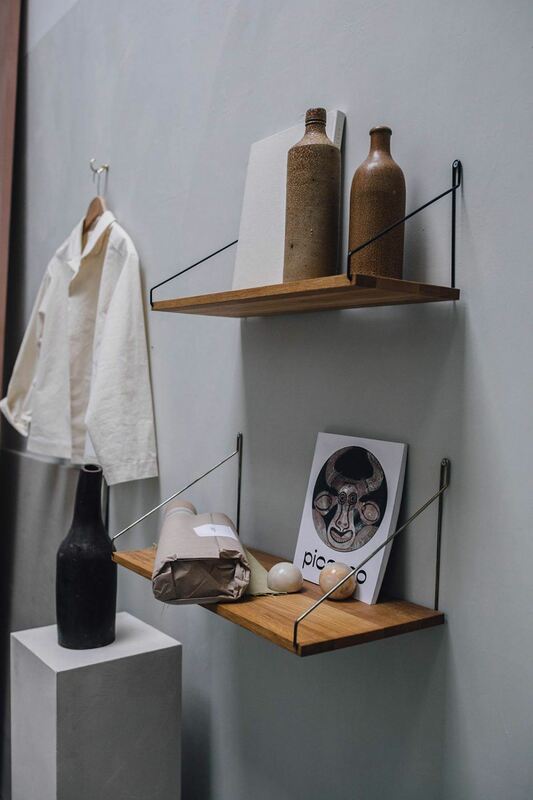 And on top of that, we like to display our favourite objects for our daily dose of inspiration. 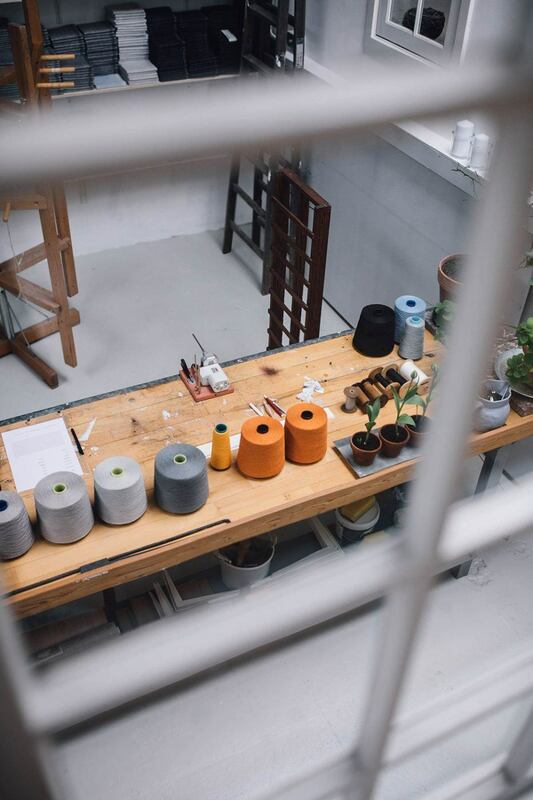 Do you have a favorite spot in your studio – where do you spend most of the time? 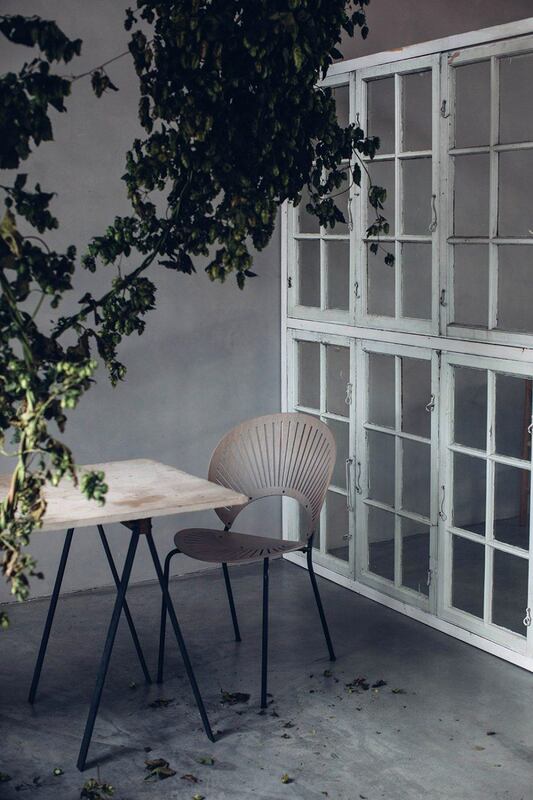 The studio is surrounded by big, gorgeous roof windows, so the light changes every hour. So our favourite spot all depends on what time it is. But we all tend to hang out around the long wooden table. How did the studio look when you moved in and what did you change? Has there been pieces/furniture/elements in the space, which you took over? We were lucky that Karin had finished the bigger renovation before moving in, so everything was ready when we came. 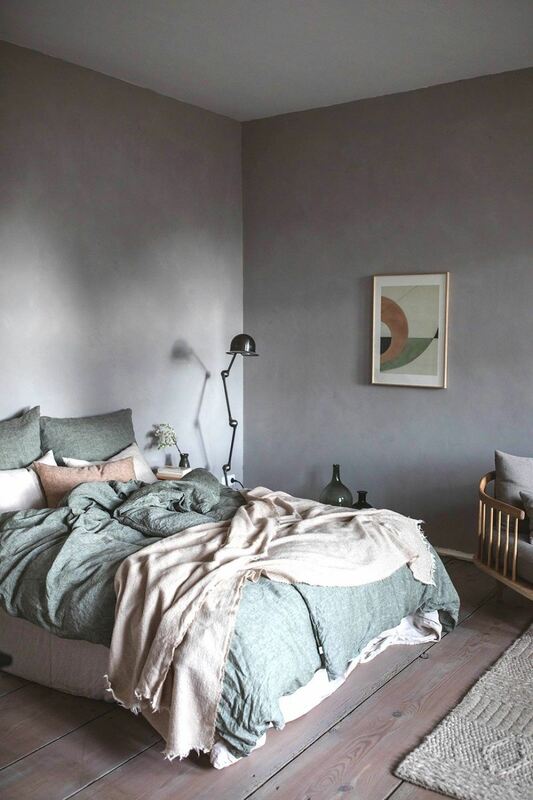 In our room we decided to paint with chalk paint from Jotun to give the room some texture, and the furniture and objects in our space is constantly moving. Every time we go to the studio the space gets a small change, in someway or another. Either we bring in new pieces or we decide that Sjur’s sewing desk should be placed somewhere else for a change. 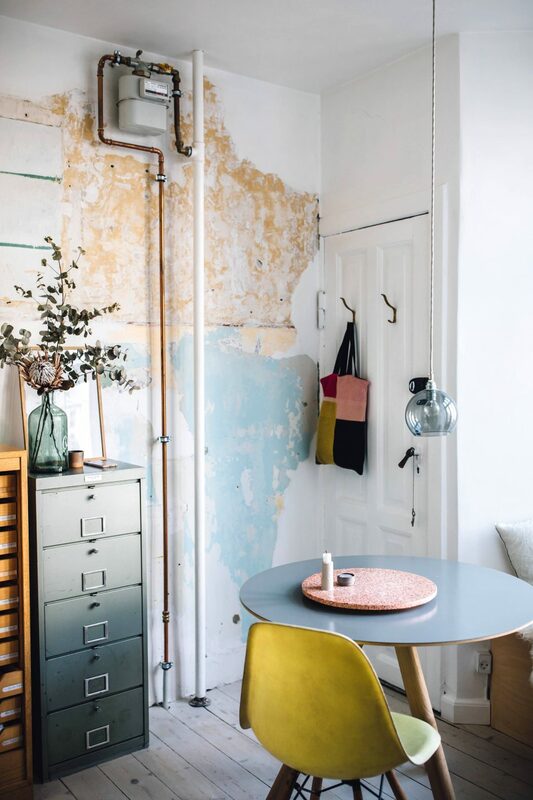 In a beautiful, spacious apartment with soul, with enough space to gather all our friends for dinner and wine, and with extra rooms for all our messy projects. 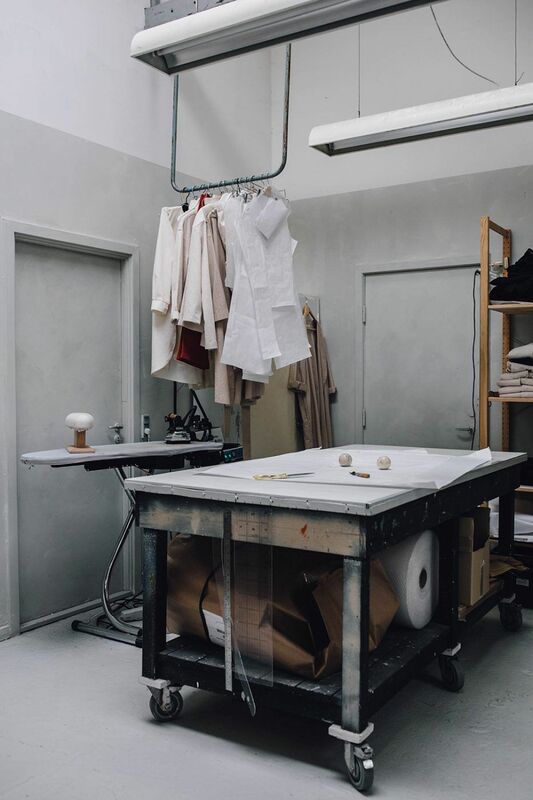 Would you tell us a few of your favorite design shops? 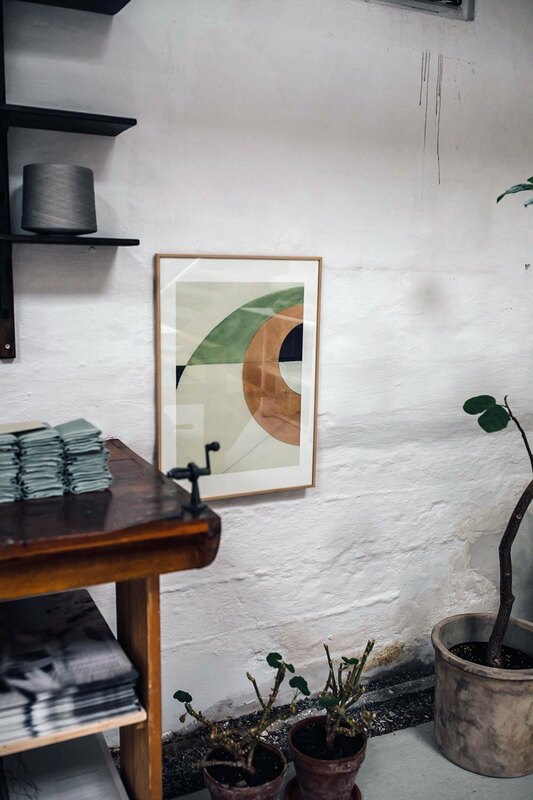 In Scandinavia we love Frama in Copenhagen, Kollekted by in Oslo, Dry Studios in Stockholm, Black in Copenhagen, Perspective Studio in Stockholm. Our next travel destination is actually Oslo. The 21st of June we are throwing an event together with Kollekted by, and we’ll be launching a brand new colour for our Atelier-set. 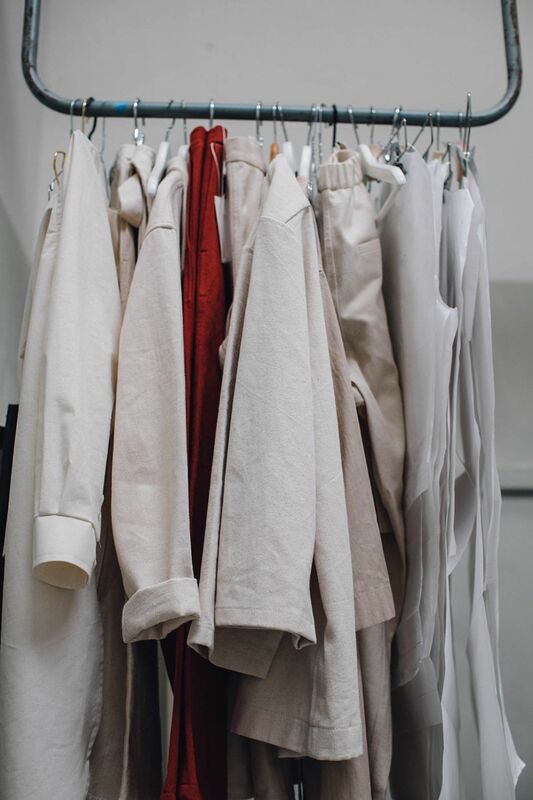 We can’t wait to meet all our old friends and new people interested in our garment collection. What’s your all time favorite travel destination? We all love going to Guardamar, Spain. Fredrik’s parents have a summer house down there, and there is no other place we are more relaxed. 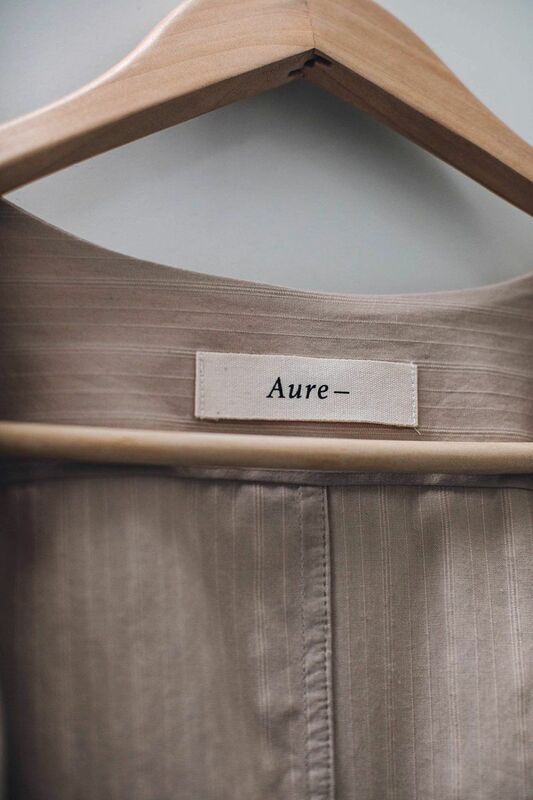 When we were first creating the concept of Aure we were on a road trip around this area, and we were really attracted to their coastline color palette of blues, greens, whites, and browns, as well as the elements of stone and ceramics. First of all, rent a bike and explore the city quick and easy. And we would definitely eat breakfast at Sonny or in the sun outside Torvehallerne, have dinner at either Apollo Kantine, Mangia or Admiralgade 26, finish with a drink at Barabba, and if the weather allows it skip all the above and bike out to La Banchina to swim, eat and drink. Between all that we would recommend stopping by one or more of the following museums/art galleries; SMK, Etage Projects, Glyptoteket, Thorvaldsen Museum, Ordrup Gaard. For fashion @maggieontherocks, for exotic inspiration @manjujournal, and for elegant style @encensmagazine. *Give-Away: Aure Studio is giving away one poster of your choice to one lucky winner. 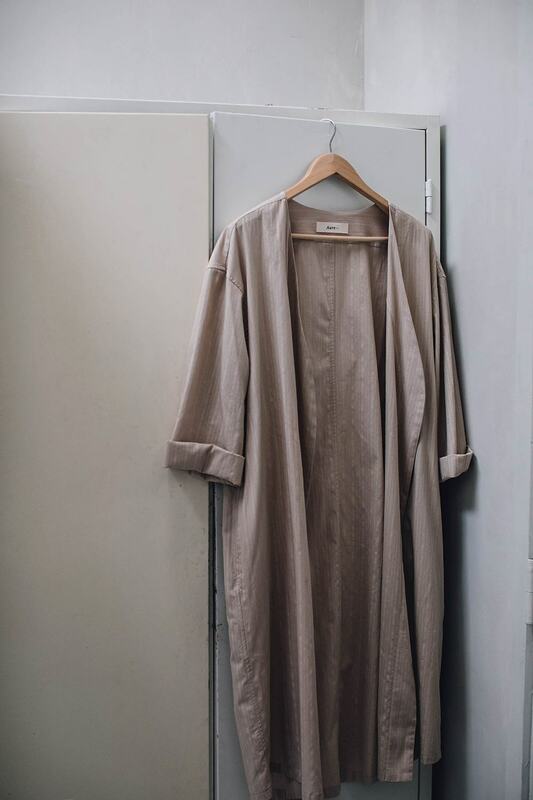 To participate the give-away simply write a comment under this post and follow Aure Studio on Instagram. We will draw the winner by lot next wednesday. Good luck everyone! Nur zu gern würde ich meine Aure Studio Print Sammlung (ok, bisher ist es nur der »Mai« Print :-) erweitern. Well my itch to travel to Copenhagen has been officially confirmed with the interview (with suggested local to-to’s included)! 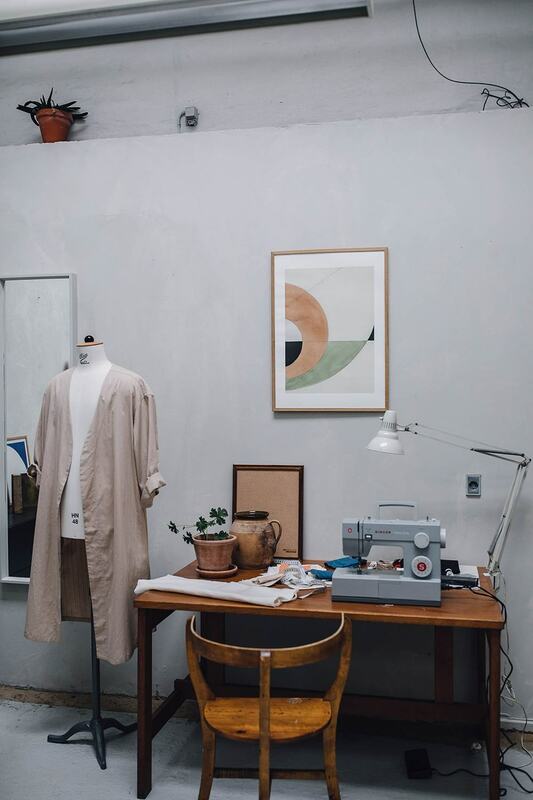 I love the tones of the studio, design and photographs, as well as textiles and art! Great feature! Loved reading this. 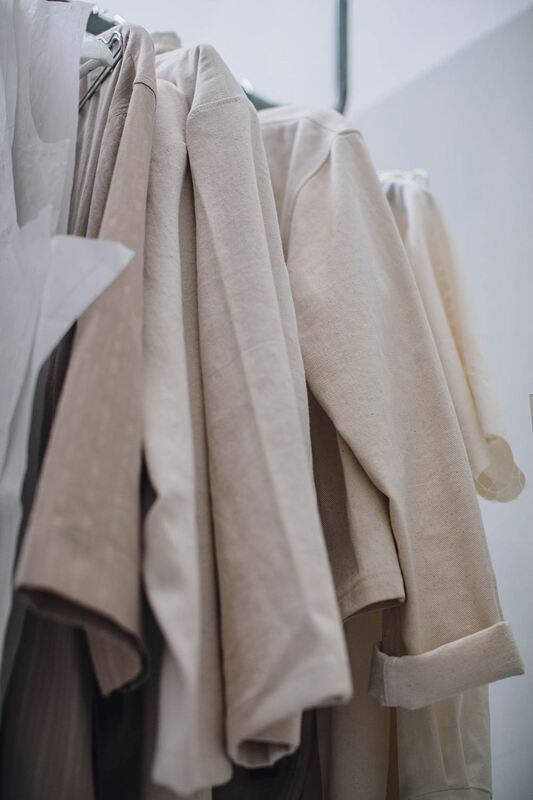 Aure studio has such dreamy aesthetics! 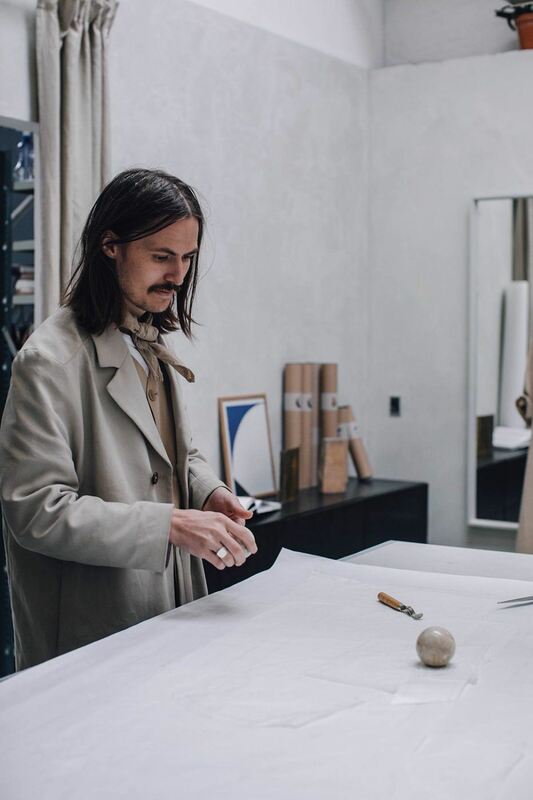 Wonderful article, and such beautiful photographs of a fascinating studio. Ganz wunderbare Kunst, danke für den Einblick! Würde mich riesig über einen Druck freuen!!! The space is beautiful!!! I really enjoyed reading this article. Die Studiotour hat mir sehr gut gefallen. Dort würde ich auch arbeiten wollen 🙂. So ein schönes Studio und Danke für den Einblick, ein Art Print wäre ein Traum. 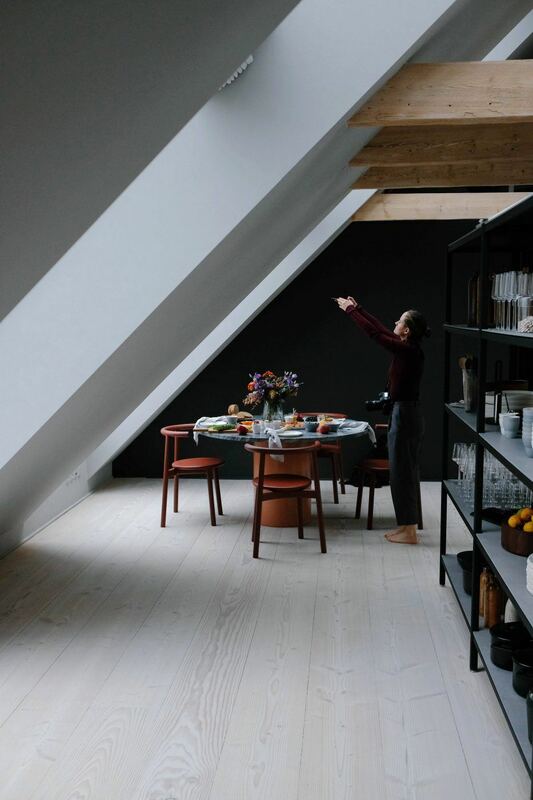 I would love to have some Copenhagen vibes at home! 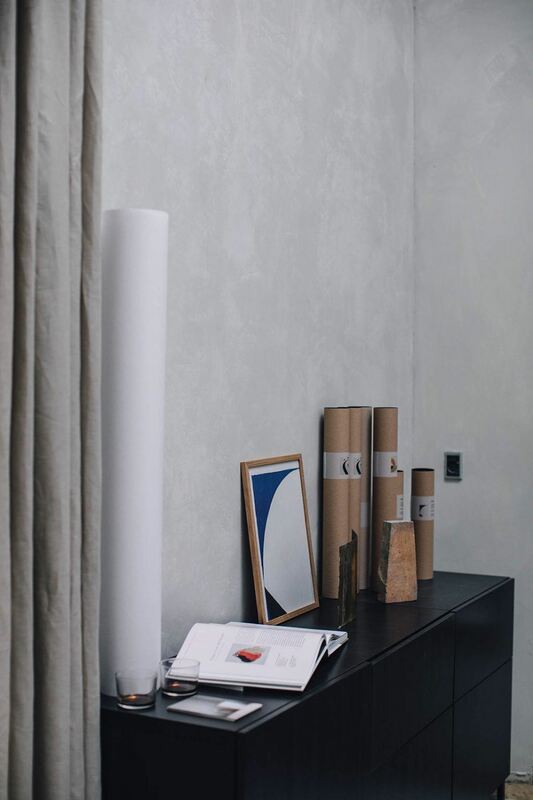 Love the story, studio, color pallet, design and posters! Can't wait to go to Copenhagen to check out the spots! OMG this studio looks awesome! I am so in love with their stuff. Oh ich würde mich sehr über so ein schönes Plakat freuen ! Thank you for sharing such awesome inspiration! It is so refreshing to not only find creatives and their aesthetics that I can relate to, but to gain better perspective on their work environment and ethics. I would LOVE print November #01. Soy una mujer mexicana que ama coser. A nivel casero. Este reportaje me inspiró a tener un espacio dedicado a ese fin , aunque esté en casa. Gracias!! I am a Mexican woman who loves sew. At home. 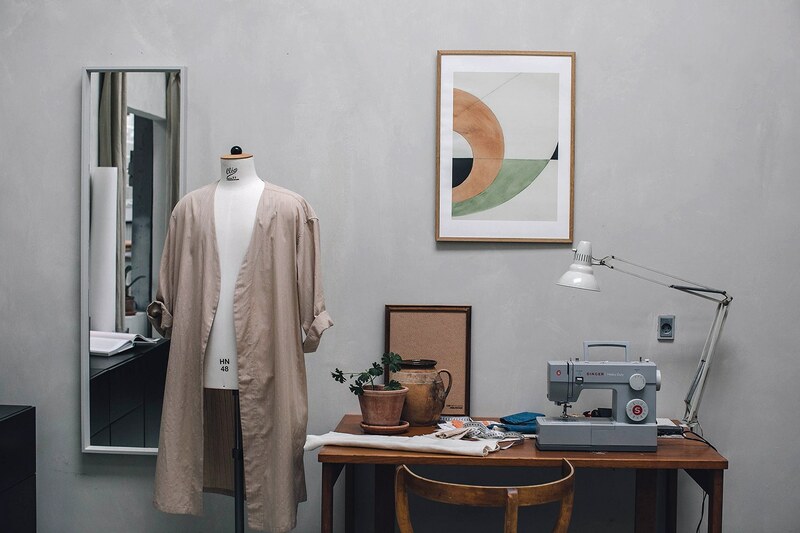 This interview inspires me to make my sew room at home.